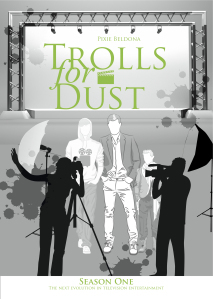 Something was in the works at Vale TV Studios, particularly something with Trolls for Dust. Tippa wasn’t sure what it was, but she was determined to find out. She waved hello to Michael Abner, who sat outside eating a heaping bowl of oatmeal topped with raisins and almonds. “Keeping up that fine physique, Ab?” Tippa called. “It’s all for you, babe!” he shouted back. His expression then returned to the contemplative look that Michael had sported ever since coming back from the hospital. Not a lot happened in this episode but a few parts were very good, especially Duke’s nonsense curse. Delicious taco!! Eric Balfour was so great at delivering the ridiculous lines, that half of the time, I belatedly realized he hadn’t said anything understandable. I’m sure his costars were ready to burst with laughter by the time “cut” was called. Also, Mara is really a great character. She’s a mean girl, yet somehow likable…perhaps some inner Audrey peeking through? We also get a hint of what kind of creature Mara actually is, someone so far above humans they are like insects to her. I give Dwight/Sasquatch props for trying to get some information out of her. Nathan is no use in this area, as he is only focused on getting Audrey back. Duke is just trying to deal with everything. The last scene where Nathan, Duke, and Dwight try to bring Audrey out of Mara by treating her like Audrey is outstanding. Emily Rose really shines and the humor is spot on. Body switching! This is a good “trouble,” especially for actors who like to have fun imitating their costars. I thought that John Dunsworth (Dave) did an awesome job being his brother Vince. The standout, however, was Lucas Bryant (Nathan) mimicking Duke’s mannerisms to a T.
As far as the long arc plot, we get more hints about Dave Teagues’ dubious origins that are connected both to the world Mara is from and/or the New England Roanoke legend. North Carolina looks uncannily like Nova Scotia 😉 and we get another “Thinny” or door between worlds as a cliffhanger. Nathan is still on his quest to draw Audrey out of Mara, or change Mara into Audrey or whatever. He recruits Duke’s help and Duke discovers (dun, dun, dun!) Mara is pretending to be Audrey! This presents the possibility that every time Audrey has appeared in S5, it has simply been Mara pretending to string the Havenites along, so we come back to the question: Does Audrey still exist? I say, and I think Duke would agree, that Mara is Mara, and Audrey is Mara, and there has never been two separate entities. There is only one woman. She may have multiple personalities, but she’s still one woman. a woman who may have both the desire to give people “troubles” and to help cure them. No real answers, yet, however, and I still miss Jennifer. Duke needs another Jennifer. And as much as I love the Nathan/Audrey love story, this “saving Audrey” thing is dragging the storyline a bit. Nathan could use another love interest or just another focus for a couple of episodes. Maybe a woman with long black hair? That seems to be his type. Or maybe he could just deal with this obsession off-screen for a bit? Let Duke, Dwight, and Gloria handle a really whizbangwow Trouble until the writers are ready for the big Mara/Audrey reveal and we can get on with the big arc already! Ok, it’s not that big of a deal, it’s just annoying when plot points are prolonged or withheld because the story needs to be x number of episodes long, or x number of pages (I know, I do it myself in my own writing from time to time, roll my eyes, sigh heavily, and keep going with the story). Filler episode, filler scenes, filler characters, these are the Troubles that plague storywriters. Season 5 is good, yet I’m wanting more rewatchable moments and episodes. Too much fill means too much going through the motions and who wants to rewatch that? Seasons 1-4 all have a very rewatchable quality to them. Again, S5 isn’t bad, it’s just having difficulty finding its footing, probably because of Mara/Audrey. Audrey and her desire to help people is the glue that holds the series together. So, as much as I love watching Mara, Haven needs Audrey back, and soon. 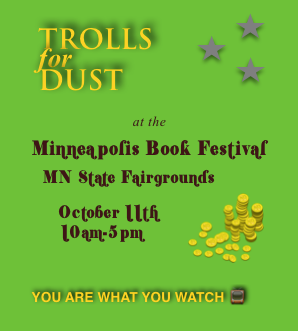 The Minneapolis Book Festival: What an awesome experience to be a part of! Saturday at the MN Fairgrounds was a lot of fun. 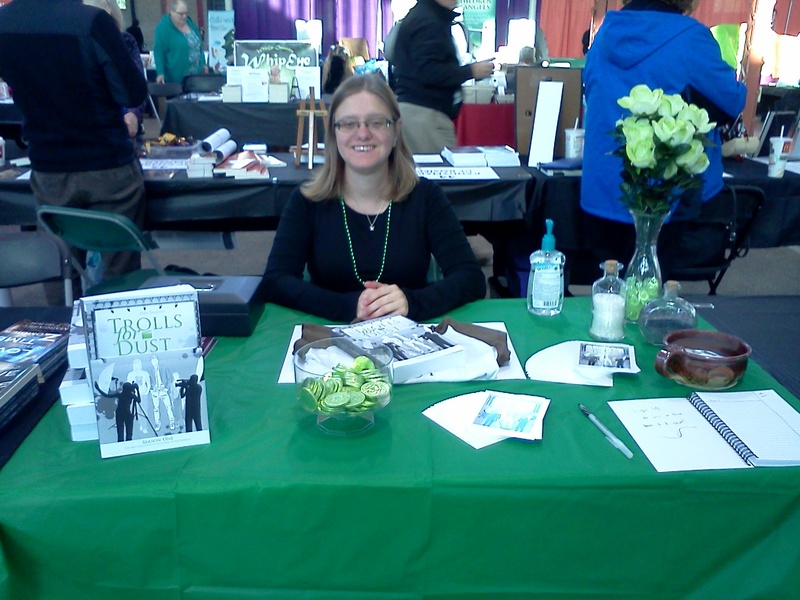 I got to meet many fellow writers and especially fellow book readers. Sometimes it feels like no one reads anymore, so it’s very heartening to have so many bibliophiles come together in one spot. The pic above, isn’t the best of me, as I’ve been battling (with invisible antibiotic swords and bullets) under the weatherness for a week or so, and though on the road to recovery, it’s a slow road. So, no, I have not been drained by a vampire, just was exhausted before the day began. So, my interaction lacked a bit of pep, but I did sell a couple of books, and gave away a few postcards, stickers and chocolate coins. Many people seemed fascinated that they still make chocolate coins. They do, they do! And the likeliest store to have them would be your local party supply store. Thank you to everyone who stopped by my table. It was fun to meet you or just exchange smiles. To those who entered the contest to win a t-shirt and book, in a day or so here I will be sending the winner an email with the link to pick out a t-shirt and more details. So, if you get an email from pixiebeldona@yahoo.com, that would be me. Haven – I’ve caught up on a couple of great episodes I plan to review. Five Fingers Kdrama – about prodigy pianist rival brothers! What’s not to love? My fingers have itched to tickle the ivories every episode I’ve watched thus far. (Currently streaming on Netflix). The Blacklist – Also on Netflix, and one S1, but wow! What a show! 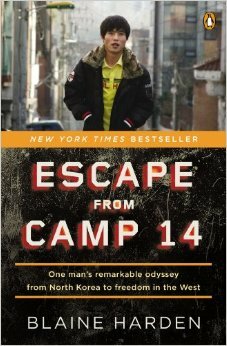 Escape from Camp 14 – Book retelling the true story of a young man who grew up in and escaped one of N. Korea’s worst prison camps. The Feast and Ghosts in the Yew – Each book is the first in a high fantasy series by a couple of fellow authors at the book fair. 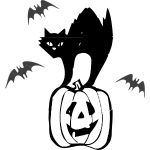 It might be a few months before I get the books read and reviews out, but they were selling like hotcakes, so check them out if you like fantasy (links are embedded in the titles). Also, they both had really cool Tolkien-like maps. Ok, happy reading, everyone, and have a good week.